Stay over in one of our comfortable rooms or elegant suites and experience an unforgettable holiday at Schloss Lübbenau (Castle of Lübbenau). 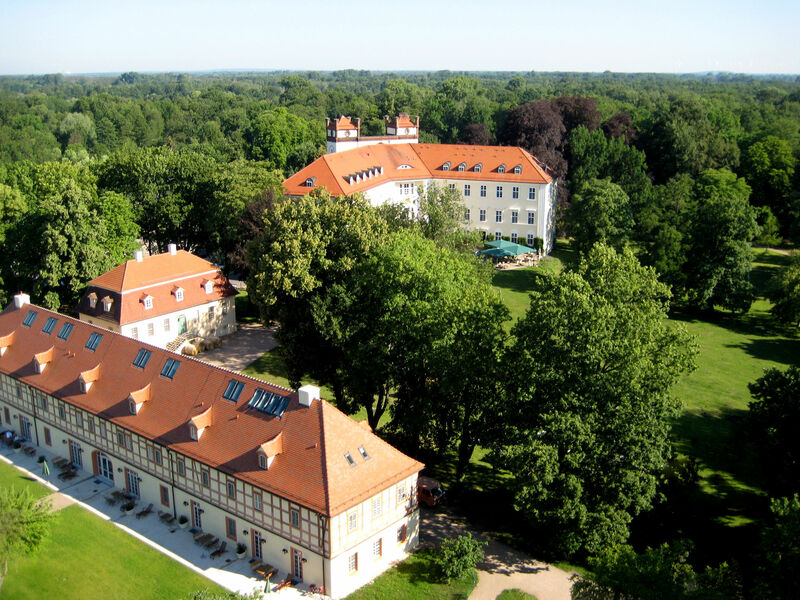 Our idyllic Schloss-Hotel (Castle Hotel) in the Spreewald (Spree Forest) is an ideal travel spot with its unique Landschaftsgarten (Landscape Garden). The Marstall (Former Stables) is ideally suited to guests wishing for more space. Whether a double room, a suite or a spacious holiday apartment – you can enjoy your holiday to the fullest in the Spreewald (Spree Forest). Furthermore, the castle ensemble is the perfect location for a relaxing wellness weekend or a short break in the Spreewald (Spree Forest). Experience and enjoy Schloss Lübbenau (Castle of Lübbenau)! Choose your accommodation in the Spreewald (Spree Forest) – according to your taste! There are 38 rooms at your disposal for your overnight stay in the midst of the Spreewald (Spree Forest). Due to the building’s architecture, rooms, and suites do differ in terms of location, size and furnishing. All rooms are comfortably equipped and furnished. You can gaze into the greenery out of the window. The Marstall (Former Stables), a reconstructed half-timbered building dating back to the 18th century, is a holiday residence ensuring a unique stay in the Spreewald (Spree Forest). There are 20 individually equipped holiday apartments, rooms and suites that convince due to their spatial comfort and their first-class equipment. New in 2019. There are four exceptional suites in the Kanzlei. Perfect for your holiday or a unique stay with family or friends. Also for small groups. The Kanzlei can be booked completely or the suites can be booked individually.